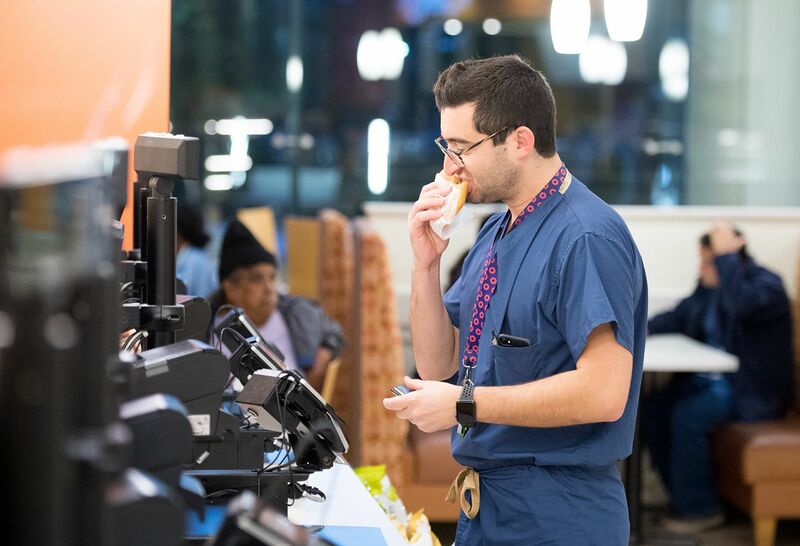 Standing meals, challenging surgeries and 12-plus hour shifts. 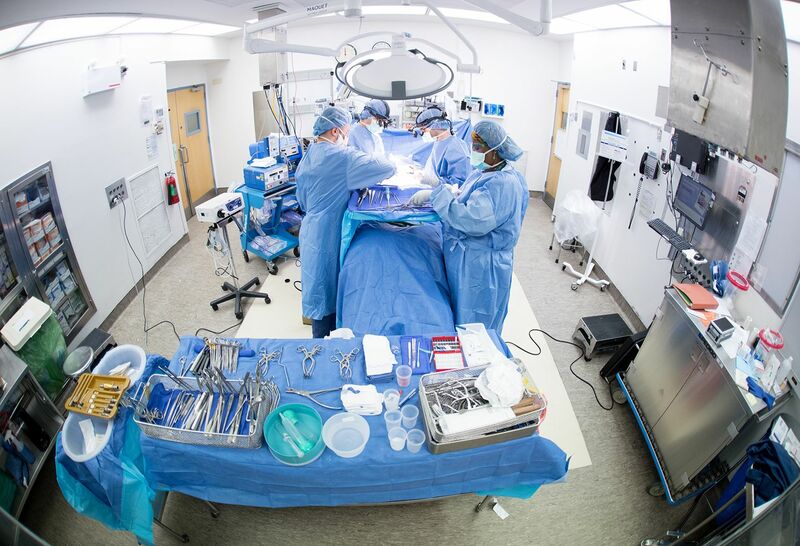 Have you ever wondered what it takes to become a brain surgeon? 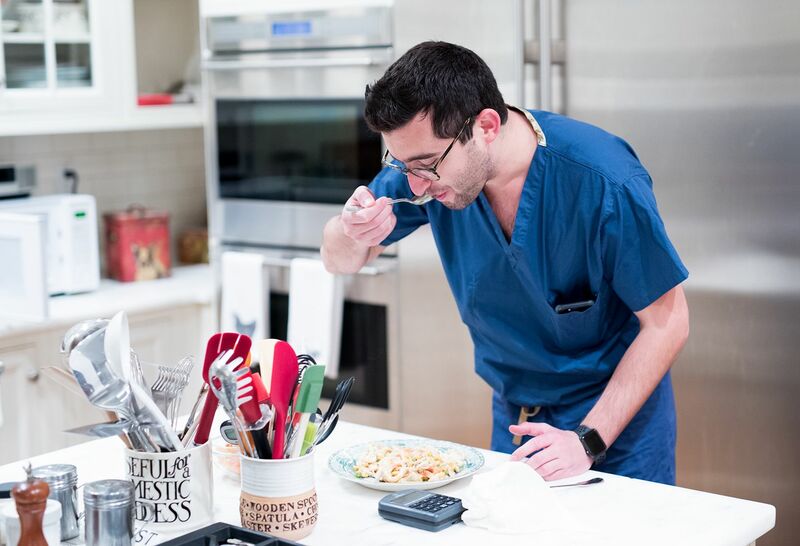 We followed Dr. David Bonda, a Northwell Health neurosurgery resident, for a day to find out. What did we learn? For Dr. Bonda, it involves a lot of hard work, endless stamina, boundless curiosity, and a little love from Grandma and Grandpa. His shift starts early. 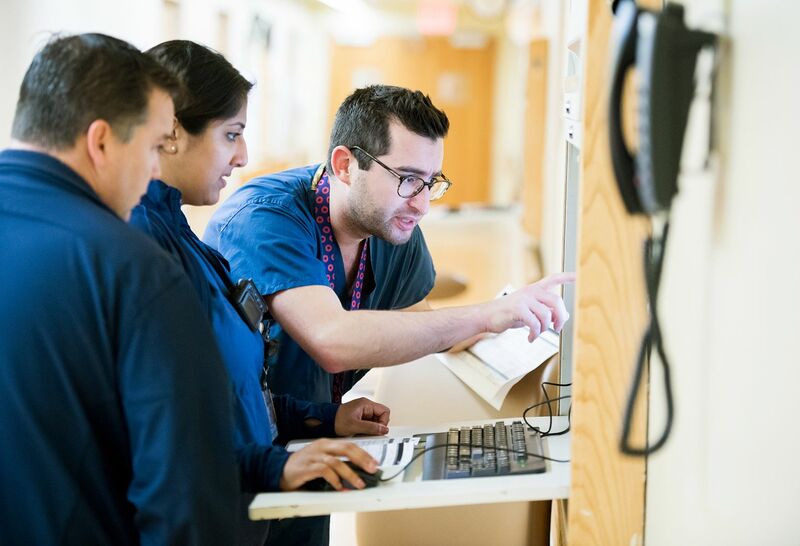 Dr. Bonda begins his day reviewing patient cases with his team at Long Island Jewish Medical Center in Queens, NY. He takes a few minutes to grab a quick breakfast in the hospital. 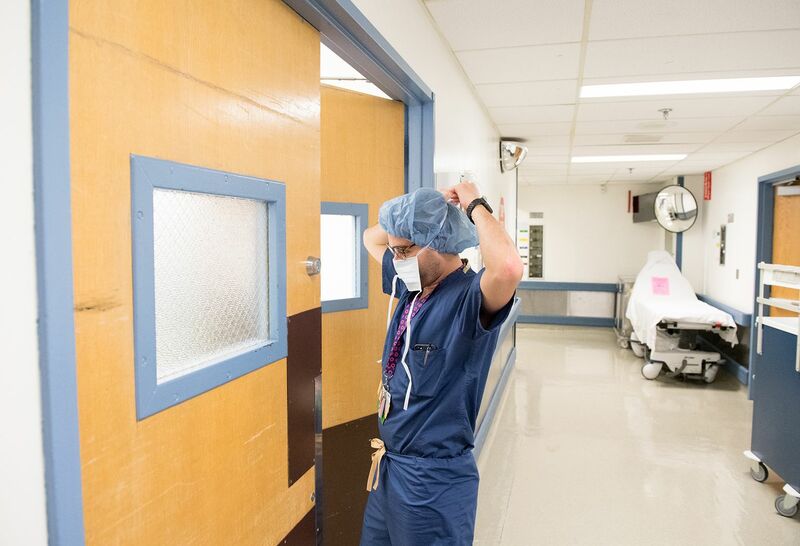 Eager to get back to work, Dr. Bonda eats standing up —he has a long day ahead, packed with patient rounds and complex surgeries. 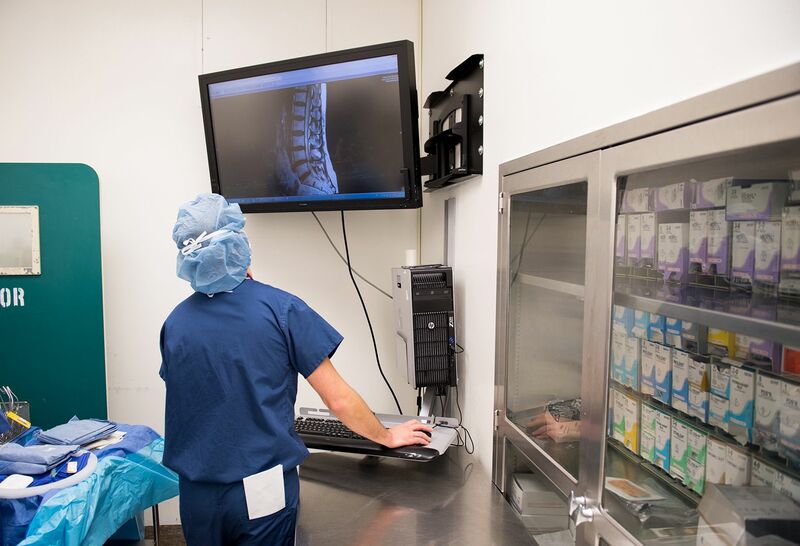 Dr. Bonda reviews imaging before his first procedure of the day, a spinal surgery. It takes three to five minutes to scrub in the proper way to prevent an infection in the operating room. Dr. Bonda rigorously washes the side of each finger, between fingers, the back and front of hands and his arms. Neurosurgery is very much about teamwork. 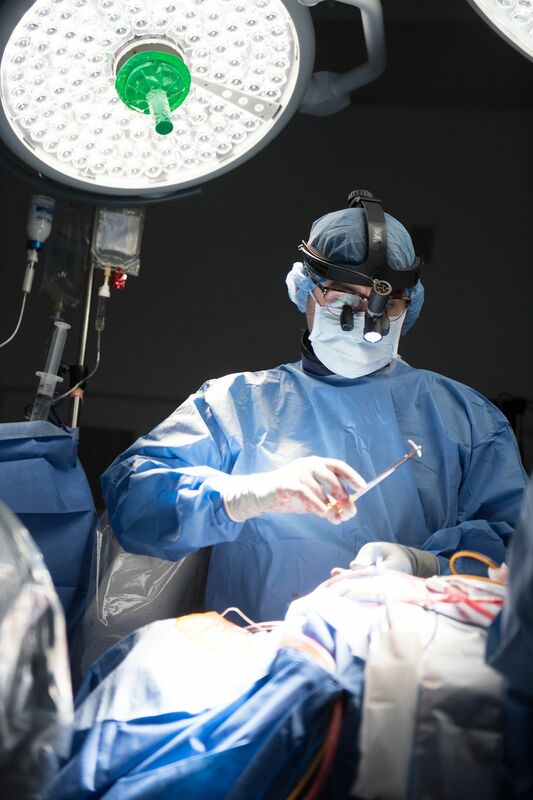 Dr. Bonda operates alongside seasoned neurosurgeon Dr. David B. Weintraub and a dedicated team of nurses and anesthesiologists. 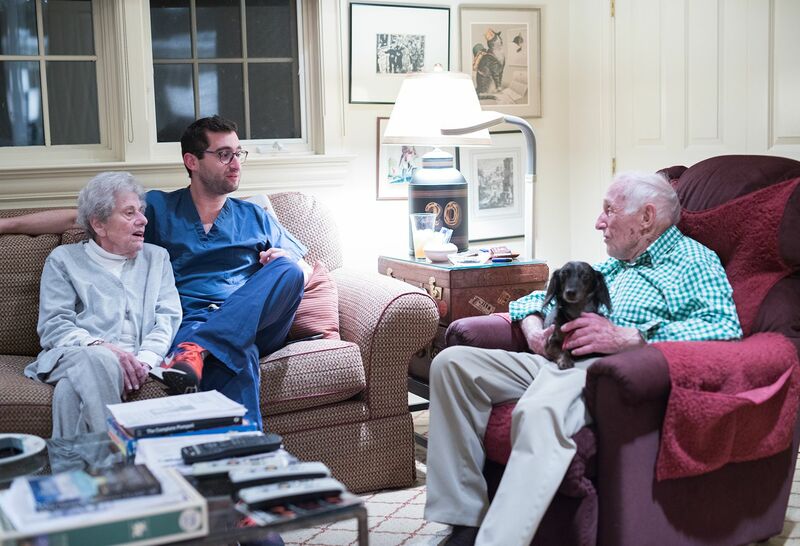 Dr. Bonda and Dr. Weintraub quite literally put their heads together to achieve the best possible outcome. 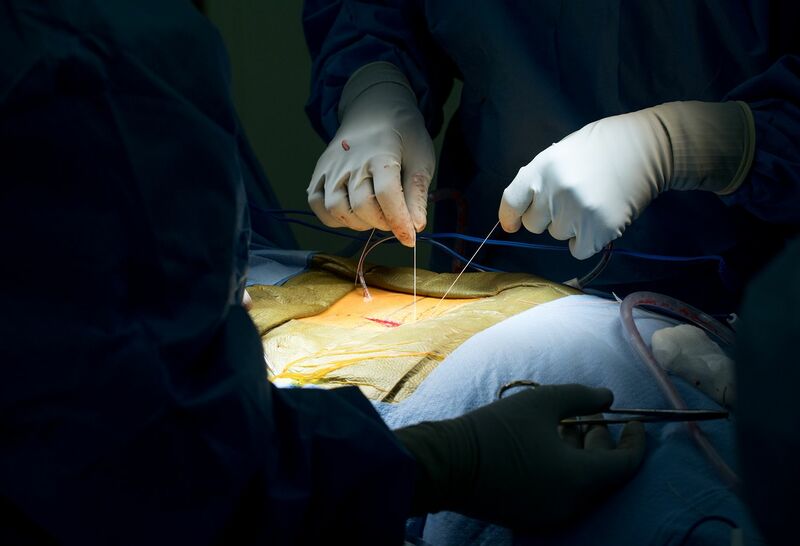 Dr. Weintraub specializes in deep brain stimulation surgery for movement disorders, as well as surgery for pain disorders associated with degenerative spine disease. 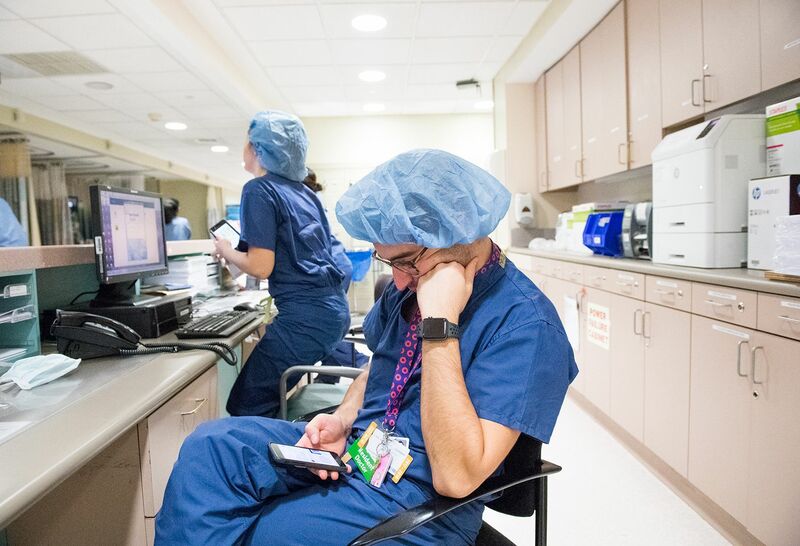 After a busy morning, Dr. Bonda takes a short break to check emails and touch base with his girlfriend, Katie, a head and neck surgery resident at another hospital out of state. “We try very hard to make our long distance relationship work by keeping in touch as much as possible throughout the day and talking on the phone each night before going to sleep,” he explains. 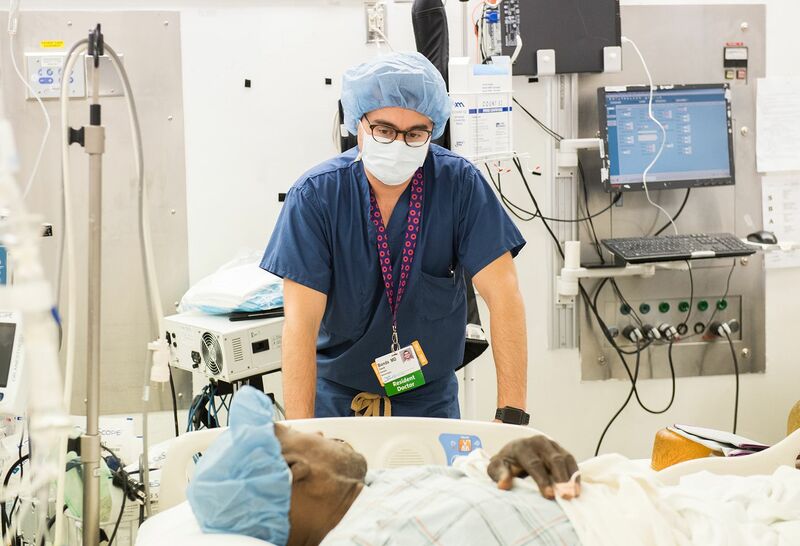 Dr. Bonda consults with a patient before another surgery. 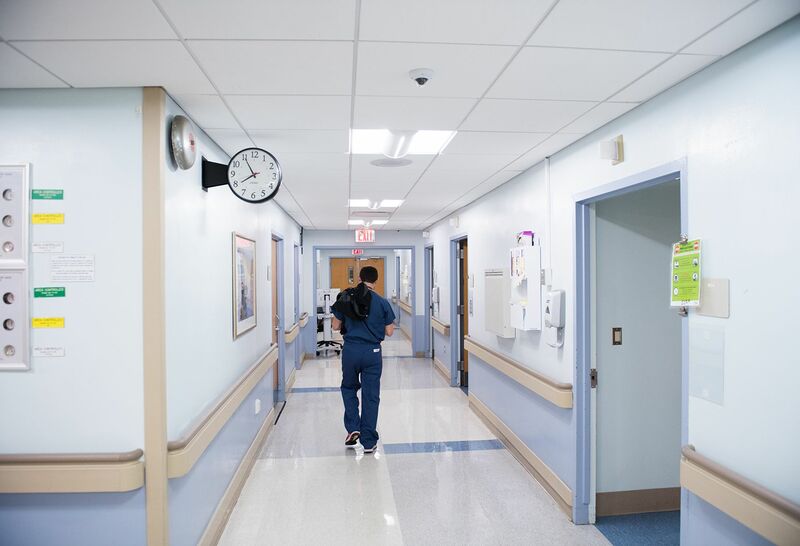 Dr. Bonda finally heads home after a 12-plus hour shift. “Residency is a blast. It can certainly be stressful and exhausting between the work hours, responsibilities, and material that need to be learned, but overall it's been a great experience,” he says. Dr. Bonda eats dinner at home, where he lives with his grandparents. 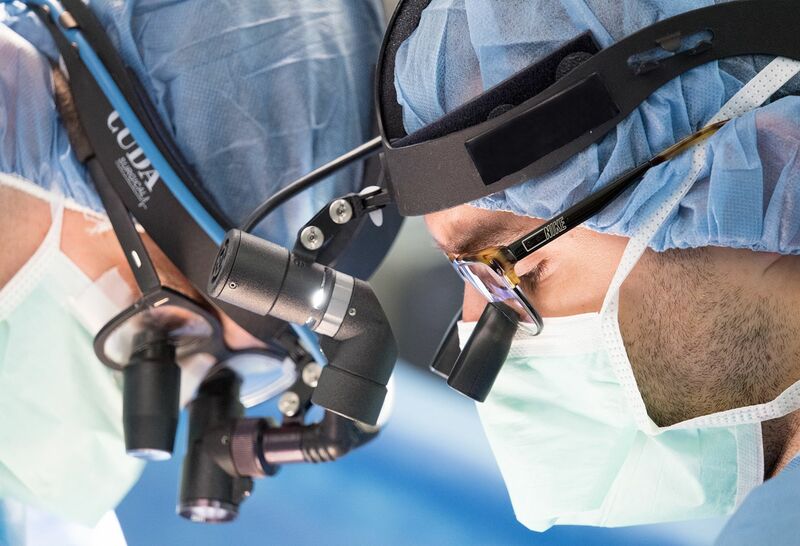 Find out more about opportunities to apply for a residency in neurosurgery at Northwell Health. 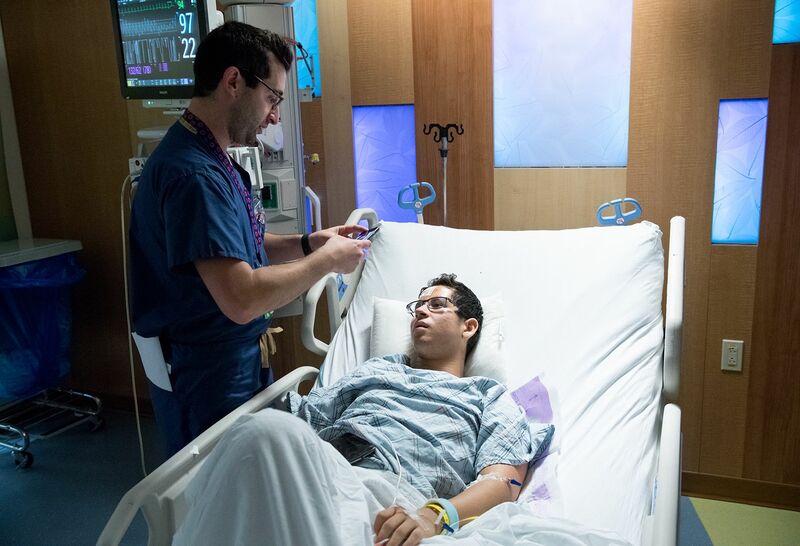 Learn how Northwell is changing lives through advanced neurological care. Visit the Neuroscience Institute or call (844) 566-3876 for more information.